One of the first Tokio Hotel songs when they were still Devilish. The band included a new version on Best Of (2010) supported by a music video with clips throughout the years. The first demo is also included in a tape inside Kings of Suburbia limited fan edition (2014). Tokio Hotel performed it live only during their Devilish years. The band performed in Madrid for the first time during MTV Day on June 14, 2007. Tokio Hotel come back in town a year later, on June 28, for Rock in Rio during 1000 Hotels Tour. During Welcome To Humanoid City Tour (2010) the band performed in Madrid on April 6 at Palacio de Deportes. Tokio Hotel will come back in Madrid on May 4, 2019 at Gotham during Melancholic Paradise Tour. It’s Gustav’s hometown and the city where Tokio Hotel started to play during their early years. The band performed there a couple of times of times during their first tournee and also for some events. On 2005 they performed at Sachsen-Anhalt-Tag on July 1, at Stars4Free event on September 4 and at SWM Kids event on September 30. Tokio Hotel performed at Stadthalle during Schrei Live Tour on December 17, 2005. It’s the name of the apparel line created by Bill Kaulitz launched in 2017. Bill spent some days in Marrakech on July 2018. The band landed in Malaysia on May and July 2010 for some promotion of their Humanoid album and for a couple of performances, like MTV World Stage. Tokio Hotel will play for the very first time in Manchester next April 26 at Manchester Academy as kick off of their Melancholic Paradise Tour. The band performed in Mannheim twice. On July 15, 2006 at Arena Of Pop during Schrei Live Tour (2005/2006) and on April 21, 2007 at SAP Arena during Zimmer 483 Tour. Tokio Hotel performed in Marseille four times throughout the years. On March 14, 2008 during 1000 Hotels Tour and on March 23, 2010 during Welcome To Humanoid City Tour, both times at Le Dome. On March 9, 2015 they performed at Le Moulin during Feel It All World Tour and on November 15, 2017 at Le Silo during Dream Machine Tour. It’s the 12th track of Kings Of Suburbia album (2014), the first bonus track of the deluxe edition. The song was written by Bill and Tom Kaulitz (they are also the producers together with Madzin) with Dave Roth and Pat Benzner. Tokio Hotel performed this song during Feel It All World Tour (2015). It’s the title of Tokio Hotel upcoming new album and tour (2019) and first single of the new era planned for February 1, 2019. It’s the 9th track of Humanoid German version album (2009). The song is produced by The Matrix with Pat Benzner, Dave Roth, David Jost and Peter Hoffmann that are also credited in music and lyrics together with Bill and Tom Kaulitz (lyrics and music). The twins are also co-producers of the song. Tokio Hotel performed this song during Welcome To Humanoid City Tour (2010) in selected dates. Tokio Hotel performed in Meppen on August 19, 2006 at Emslandstadion during Schrei Live Tour. Beside spending some days of vacation, Tokio Hotel performed there four times throughout the years: on 2010 and 2015. Tokio Hotel performed in Mexico City twice. On December 2, 2010 at El Palacio de Los Deportes during Welcome To Humanoid City Tour and on September 1, 2015, on 26th Kaulitz twins birthday at Pepsi Center WTC during Feel It All World Tour. The band performed and came several times in Milan throughout the years. The very first time was in May 2007 for some photoshoots and interviews, following by Festivalbar on June 2007. They came back earlier on September for some interviews that same year and for their very first concert in Italy at Mediolanum Forum on October 30, during the end of Zimmer 483 Tour. On November 30, Tokio Hotel had a signing session for fans and the next day, they joined Nickelodeon’s Awards were they also won a prize. On September 2009, Tokio Hotel met the fans who won at Humanoid ticket contest included in every Humanoid album purchase for a fanparty answering some questions. On January 2010, Bill and Tom were in Milan for Fashion Week, Bill also walked on the catwalk for DSQUARED2 and together with his brother attended ZZegna show. Three months later, on April 12 they performed their last Italian show of Welcome To Humanoid City Tour and the concert was included into Humanoid City Live DVD. After 5 years, on March 17, 2015 Tokio Hotel come back for the only one Italian date of Feel It All World Tour at Fabrique. The same location for their Dream Machine Tour concert on March 28, 2017 (where I finally met the whole band) and the following one on May 7, 2019 for Melancholic Paradise. Bill Kaulitz chose Milan also for his solo project promotion on May 9, 2016 at 10 Corso Como for the singing session (where I finally could have a picture with him) and at 11 Club for the listening session. On February 2017 Bill came back in Milan for Fashion Week. 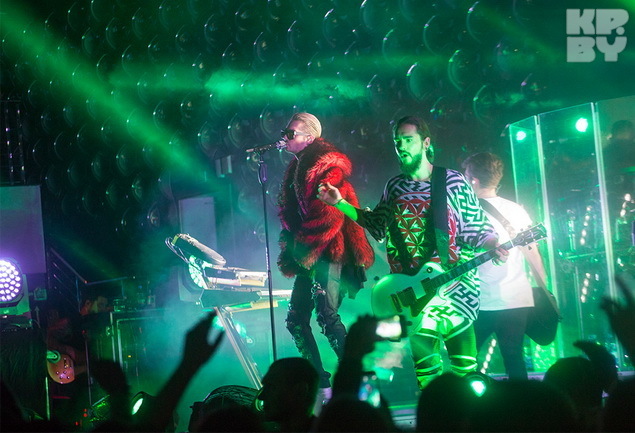 Tokio Hotel performed in Minsk on November 8, 2015 at Prime Hal during Feel It All World Tour. 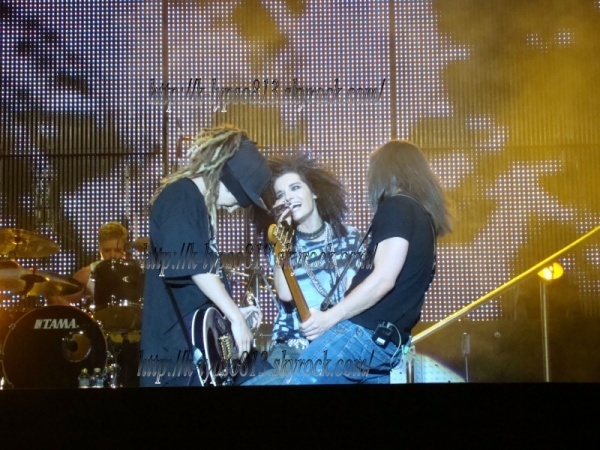 Tokio Hotel performed in Modena on July 11, 2008 at Parco Novi Sad during 1000 Hotels Tour. It was my very first Tokio Hotel concert, previously planned in Bologna on March 26, 2008 postponed due to Bill’s op. It’s the 3rd song of Scream album (2007) and it’s the English version of Durch den Monsun (2005). It’s the lead single of Tokio Hotel first English album and helped to know the band outside Germany and nearby countries. The song was written by Bill Kaulitz (lyrics) with Rebecca Roth (lyrics), Dave Roth, Pat Benzner, David Jost and Peter Hoffmann (music and lyrics). 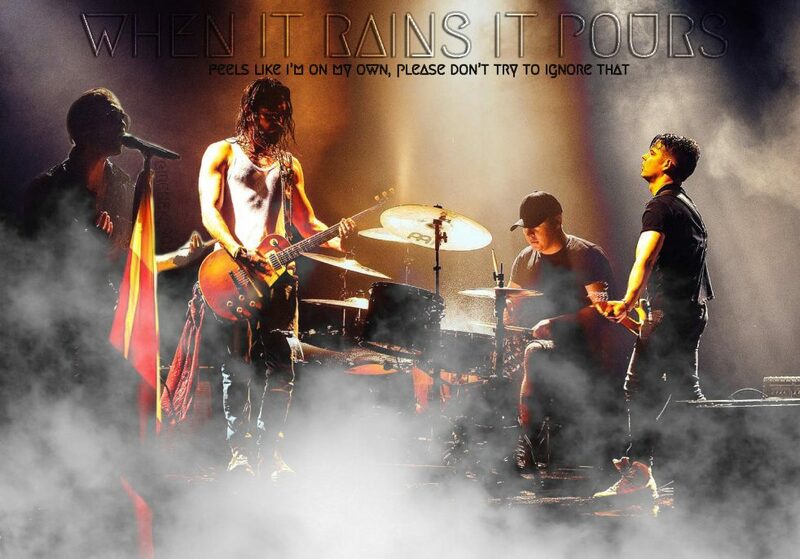 Tokio Hotel performed this song several times since 2007, not only on tour but also for events and tv performances like at MTV EMA’s 2007. The music video directed by Daniel Siegler was shot in South Africa on May 2007. Tokio Hotel performed in Monte Carlo on July 5, 2008 at Monaco Live 2008 during 1000 Hotels Tour. 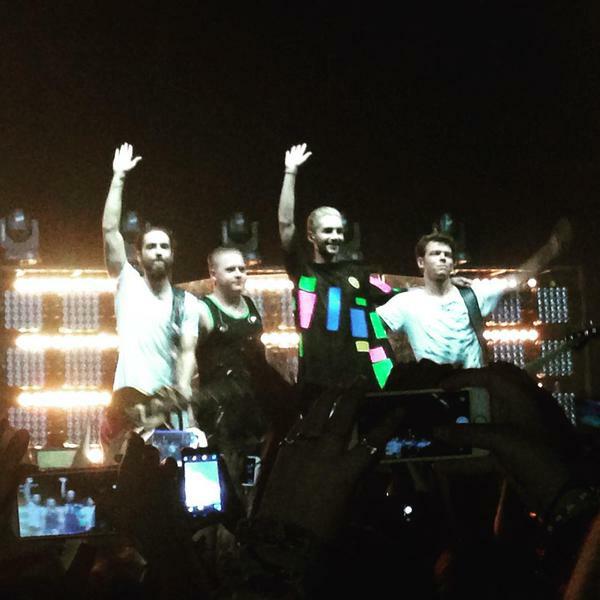 The band performed in Monterrey on September 3, 2015 at Auditorio Banamex during Feel It All World Tour. 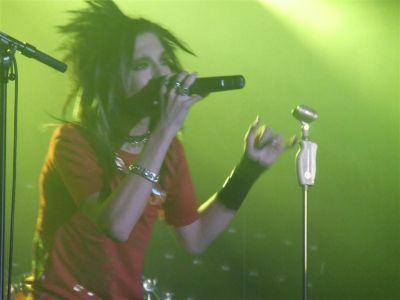 Tokio Hotel performed in Montpellier on March 13, 2008 at Zenith Sud during 1000 Hotels Tour. Tokio Hotel performed twice in Montreal. On Feburary 9, 2008 and on May 19, 2008 at Le National and at Stade Uniprix during 1000 Hotels Tour. Tokio Hotel performed the very first time in Moscow on November 18, 2006 at DS Luzhniki during Schrei Live Tour. On October 29, 2015 and on November 10, 2015 they performed at Izvestiya Hall during Feel It All World Tour. Two years later, on April 26, 2017 Tokio Hotel performed at Crocus City Hall and on April 27, 2018 they closed the Dream Machine Tour at Adrenaline Stadium. Tokio Hotel planned another show in Moscow on June 20, 2019 at 1930MOSCOW for Melancholic Paradise Tour. The band also had few private concert in the Russian city and some afterparties. Tokio Hotel released some interviews with MTV throughout the years. Tokio Hotel performed several times in Munich, not only during their tours but also for various events like 6 Tage Rennen on November 12, 2005 or MTV EMA’s 2007. They played in the German city during their tours on these dates: December 10, 2005 at Tonhalle and February 26, 2006 at Zenith during Schrei Live Tour; on April 24, 2007 at Olympiahalle (same location of MTV EMA’s 2007) during Zimmer 483 Tour; on March 18, 2015 at Kesselhaus during Feel It All World Tour; on March 31, 2017 (on Georg’s 30th bday) they come back at Tonhalle during Dream Machine Tour. They are going to perform again in Munich on May 19, 2019 during Melancholic Paradise Tour at Tonhalle. Tokio Hotel performed in Münster on December 16, 2005 at Halle Münsterland during Schrei Live Tour. Tokio Hotel won four prizes in 2014 at Music Daily Awards Ungary: Album Of The Year : Kings of Suburbia, Video Of The Year : Love Who Loves You Back, Band Of The Year, Best Fan Club : Aliens. Tokio Hotel won Best Rock Video in 2009 and Best Group Video in 2010.